Taking care of your teeth means more than brushing, rinsing or flossing them. It is important to visit a dentist regularly for a thorough examination and professional dental cleaning. 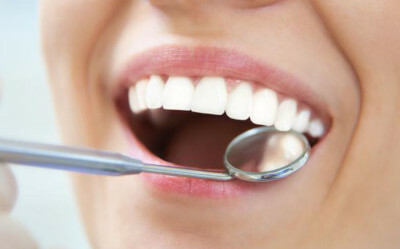 If you have any dental problems, Burbank dental check up allows you keeping your mouth healthy. Leaving dental problems uncured usually leads to the tooth loss and could make the dental treatment more difficult in the future. It is best to prevent the problems as soon as possible. Regular dental check ups are an important part of preventive health care. The most important step is to find a dentist with whom you feel comfortable, and then make an appointment. Contact us today to learn how the experienced Burbank dentist, Dr. Sahakyan can help you establish a foundation of good oral health that will last a lifetime. Please call 1-818-578-2332 for an appointment today. If necessary take other diagnostic procedures. On the first dental check up, your dentist will take a complete health history. The dentist will need to know about your medical history. Also it makes a difference if it is your first visit at the dental practice or, if you have been to the practice before. It is important that your dentist knows about any health problems, allergies or anxieties you may have in order to avoid concerns and make sure you get the right care. A dentist or a register dental hygienist removes built-up plaque and tartar that can cause bad breath , cavities, gum disease, and other problems. Then the dentist or the assistant flosses and polishes your teeth. During the examination, the condition of the oral cavity and the result of previous treatment are assessed. The dentist performs a full examination of your mouth, gums, and teeth, looking for signs of teeth problems. The dentist also gives advice on caring for your teeth, preventing cavities, and answers your questions. 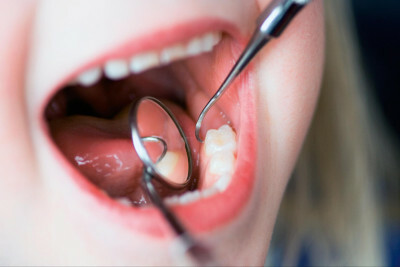 You can discuss with the dentist how to avoid tooth decay, improve oral hygiene, get rid of the bad eating habits, etc. In most cases, the dentist may recommend X-ray examination. X-rays can diagnose dental problems otherwise unseen. Tumors or cysts, abscesses, damage to jawbones, and destruction between the teeth can be diagnosed by X-ray. How Often Should I Go to the Denist? It is important to visit a dentist every at least every six months for a regular examination and professional cleaning. The period of six months has been established for a reason It is during six month period that the first signs of dental disease appear. After the dental check up, your dentist lets you know exactly what is going on in your mouth. The dentist discusses your oral health problems, including your risk of tooth decay, gum disease and any other oral health problems, and advises you about next steps. It is extremely important that you listen to this advice and put it into action. Prevention of disease or early diagnosis and treatment are very important for a successful treatment. The sooner you begin to monitor the health of your oral cavity, the less problems can arise. 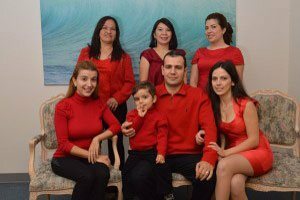 Call 1-818-578-2332 or contact the best dentist in Burbank, Dr. Sahakyan to schedule an appointment today.